Wiseco's new Garage Buddy engine rebuild kits offer everything you need for a bottom and top end rebuild. 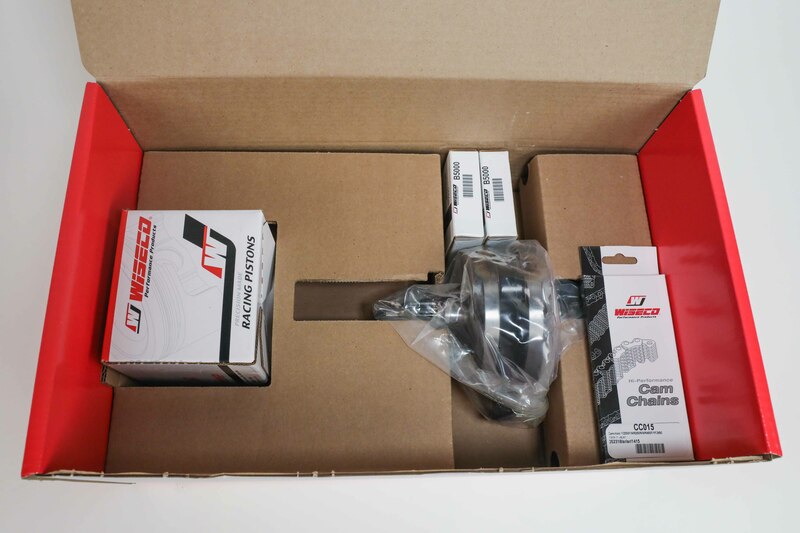 From the crank to the piston kit, and even an hour meter to track maintenance, everything is included in one box. Here we take a look at the components included, and the technology behind them. Scroll to the bottom of this page for a list of Garage Buddy applications! So, the time has come for an engine rebuild. Hopefully it’s being done as a practice of proper maintenance, but for many it will be because of an engine failure. Whether the bottom end, top end, or both went out, the first step is to disassemble and inspect. After determining any damage done to engine cases or the cylinder, and arranging for those to be repaired/replaced, you’re faced with choosing what internal engine components to buy, where to get them, and how much the costs are going to add up. 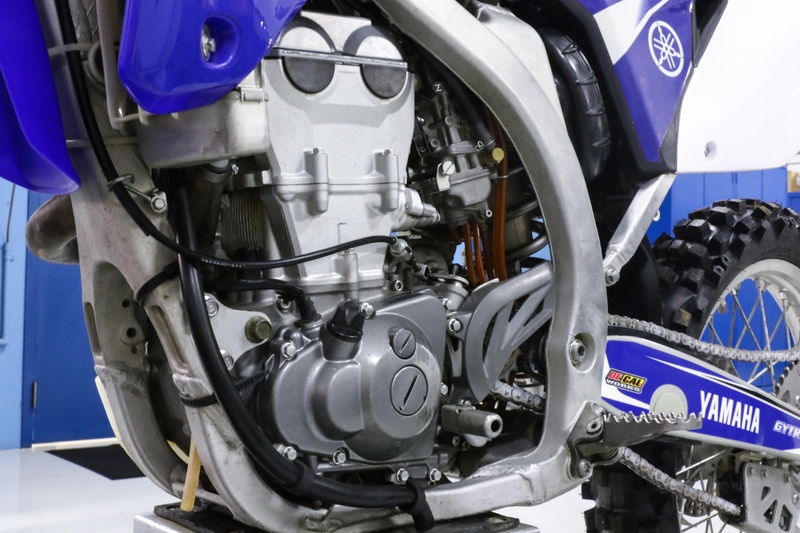 Rebuilding a dirt bike engine is an involved job, requiring many parts to be replaced. 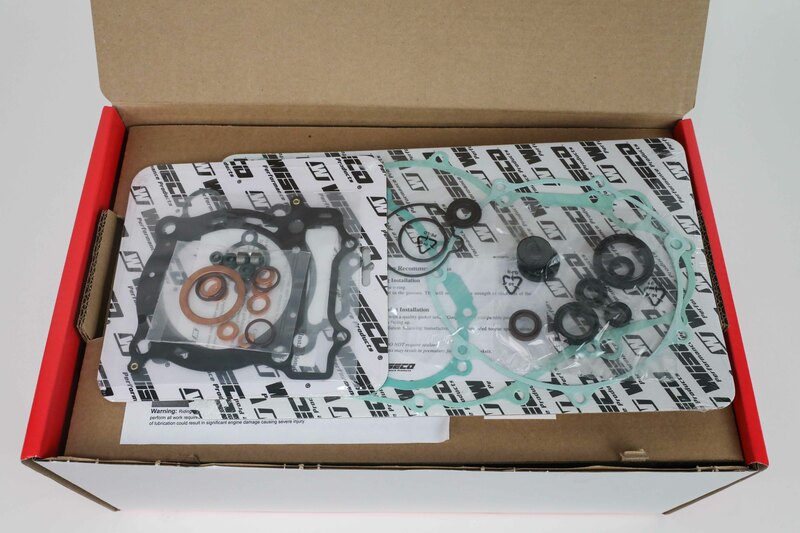 Missing one seal or gasket can put the whole rebuild on hold. A full engine rebuild is a serious job and requires a lot of parts to be replaced, especially in four-strokes. 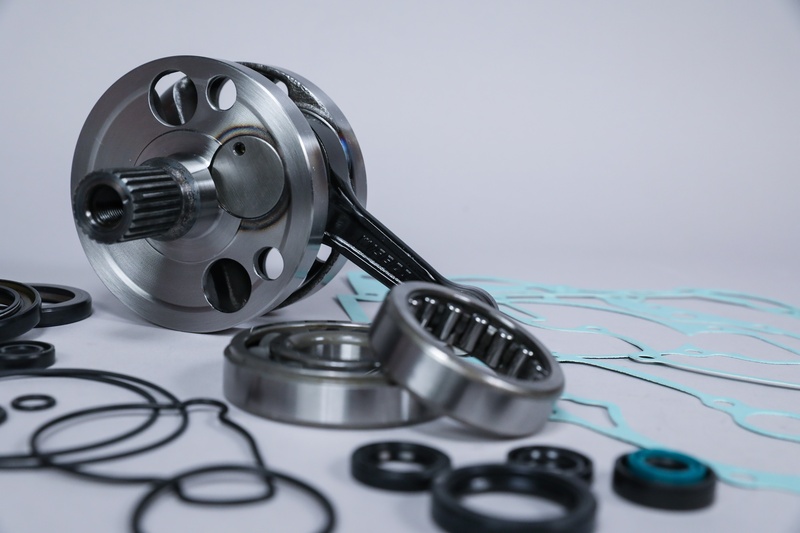 You have to think of bottom end bearings and seals, a crankshaft assembly, piston, rings, clips, wristpin, and the plethora of gaskets required for reassembly. If you’re doing this rebuild yourself, or having your local shop do the labor, chances are you don’t have a factory team budget to spend on parts. However, you know you want high-quality and durable parts, because you don’t want to find yourself doing this again anytime soon. You could source all the different parts you need from different vendors to find the best combination of quality and affordability. But, it can get frustrating when 6 different packages are coming from 6 different vendors at different times, and each one relies on the next for you to complete your rebuild. 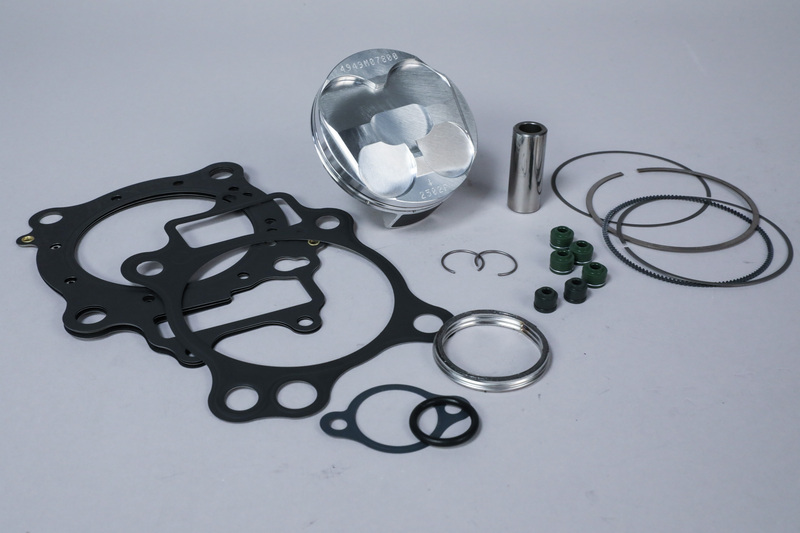 Wiseco is one of the manufacturers that has been offering top end kits (including piston, rings, clips, gaskets, and seals) all in one box, under one part number for many years. Complete bottom end rebuild kits are also available from Wiseco, with all necessary parts under one part number. So, it seemed like a no brainer to combine the top and bottom end kits, and throw in a couple extra goodies to make your complete engine rebuild in your garage as hassle free as possible. Top-end piston kits and bottom-end kits come together to create Wiseco Garage Buddy rebuild kits. Open up a Garage Buddy kit, and you'll find all the components you need to rebuild your bottom and top end. Whether your machine of choice is a 2-stroke or a 4-stroke, Wiseco can help you with your rebuild. 2-stroke Wiseco Garage Buddy kits include everything listed above, featuring a Wiseco forged Pro-Lite piston kit. You don’t even have to worry about sourcing a small-end bearing, that’s included too. 2-stroke fans often brag about the ability to rebuild their bikes so much cheaper than their 4-stroke counterparts, and they’ll have even more ammo for bragging now with these kits starting in the $400 range. 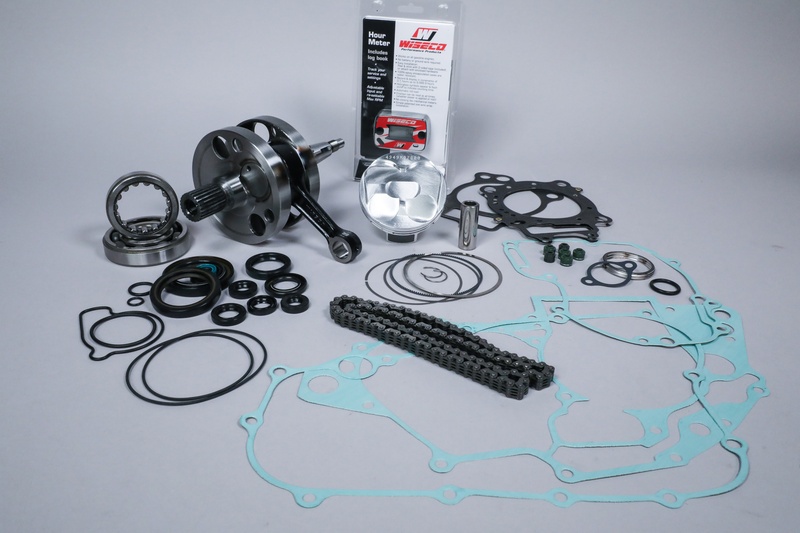 A Wiseco 2-stroke Garage Buddy kit includes all the parts you'll need for piston and crankshaft replacement, plus an hour meter to track your next maintenance intervals. However, don’t abandon your 4-stroke yet. Many riders cringe—and rightfully so—at the thought of rebuilding their 4-stroke because of the costs associated, but Wiseco 4-stroke Garage Buddy kits starting in the $600s takes a lot of sting off your rebuild project. They even include a new timing chain. 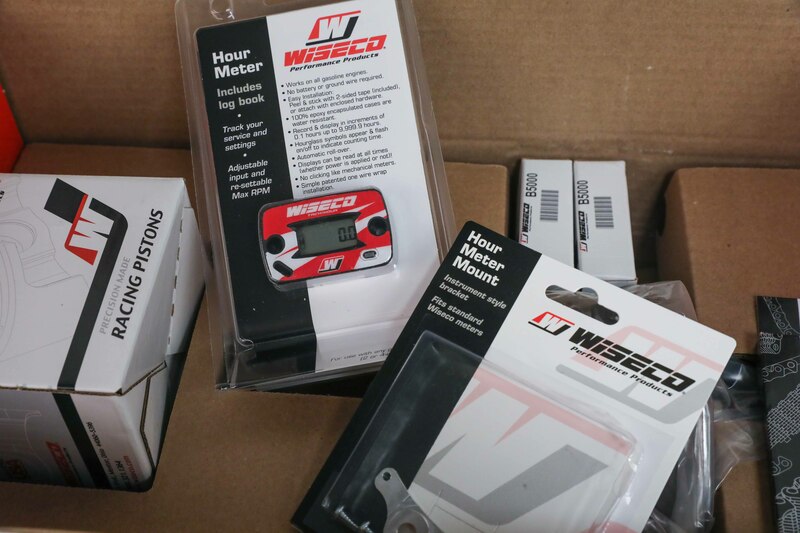 No matter what you’re rebuilding, you’ll be able to track key maintenance intervals for your fresh engine with the Wiseco hour meter and log book that’s included in the Garage Buddy kits. All Garage Buddy kits include a specific hour meter decal as well, which is important for the limited warranty to identify the rebuild as a Garage Buddy rebuild. 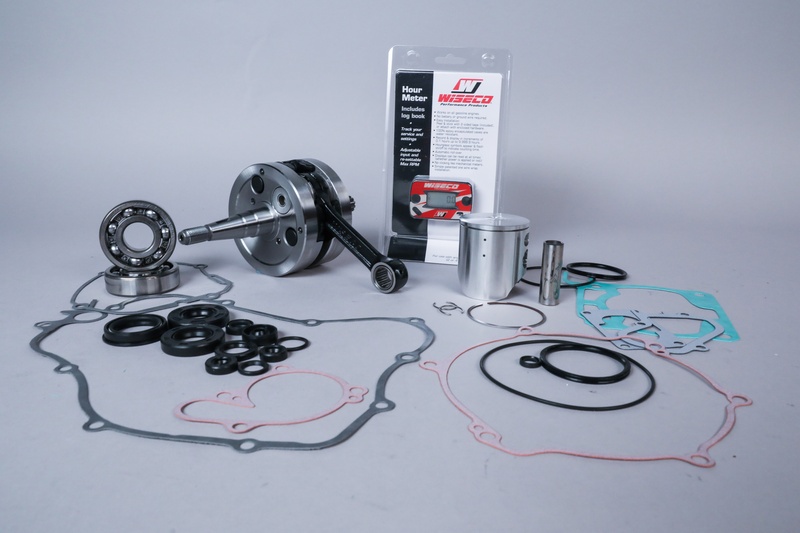 A Wiseco 4-stroke Garage Buddy kit includes all the parts you'll need for piston and crankshaft replacement, including a cam chain and an hour meter. 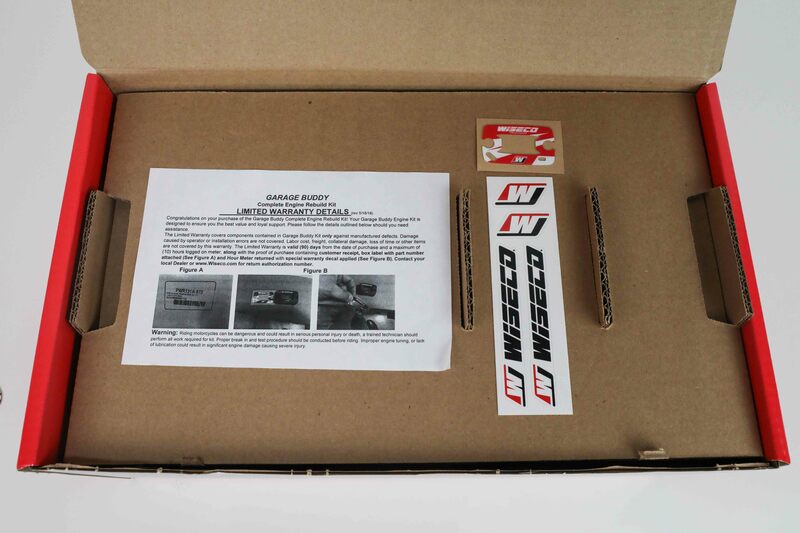 Wiseco Garage Buddy kits come with the listed parts boxed up in one box, and listed under one part number, which makes it nice to not have to worry about if you might’ve missed something when ordering. Simply find the single part number for your model, order, and you’re on your way to brand new performance. Head over to wiseco.com to see options for your bike. Ordering convenience doesn’t make a difference if the parts do not provide quality and reliability. Wiseco crankshafts are designed completely by in-house engineers, who determine all assembled dimensions, clearances, materials, and specifications. These specifications have been determined from R&D tests such as hand inspection, dyno, and failure analysis. Once Wiseco cranks have been manufactured to exact specifications they are batch inspected, and critical tolerances and dimensions are measured. Major inspections and tests include crank run-out and trueness, because they must operate within a strict tolerance to last long and perform well. Wiseco crankshafts and bearings are manufactured and tested according to strict tolerances and clearances, including run-out and trueness. Crankshaft designs are also tested for 4 hours at WOT. Bearings are another critical point of inspection. Wiseco has worked to build relationships with top-tier bearing suppliers to provide a long lasting, low-friction product. Debris in a bearing can lead to very fast wear, and Wiseco makes it a point to inspect batches of bearings for cleanliness and proper operation. 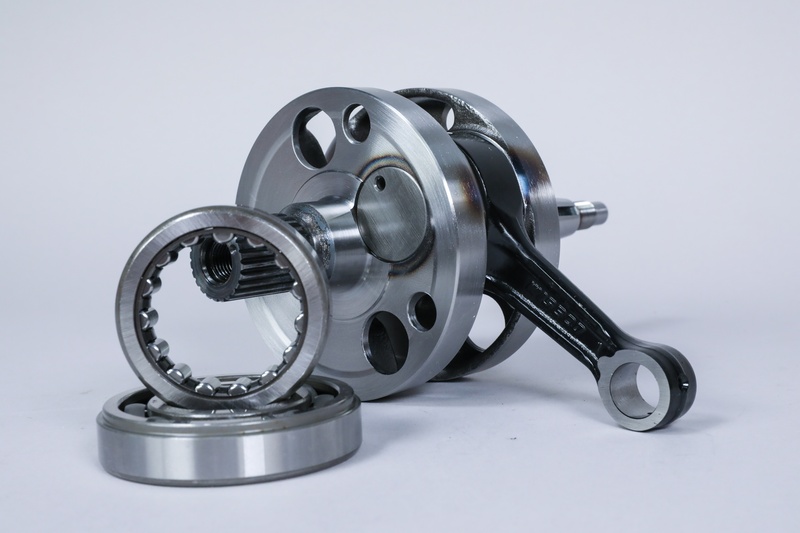 As part of the design and engineering process, prototype crankshafts are hand inspected and dyno-tested at wide open throttle for 4 consecutive hours. This is a benchmark test, and new crankshaft designs must pass it before to be deemed worthy for manufacturing. Watch our crank R&D and inspection process. A Warranty on Engine Internals? Yes! Wiseco is committed to providing performance and reliability in all their products. This is why Garage Buddy kits come with a limited warranty. Rebuild your engine with a Garage Buddy kit, and your new Wiseco components are covered against manufacturer defects for 90 days from the date of purchase, or 10 hours logged on the hour meter, whichever comes first. Check out all the warranty details on the detail sheet in your new Garage Buddy kit. Open up your Garage Buddy kit and you'll find a detail sheet on the warranty on your new components. The top end kits included in Garage Buddy kits feature a Wiseco forged piston, which are designed, forged, and machined completely in-house in the U.S.A. Four-stroke Garage Buddy kits come with a Wiseco standard forged piston, which offers stock compression and more reliability and longevity, thanks to the benefits of the forging process. 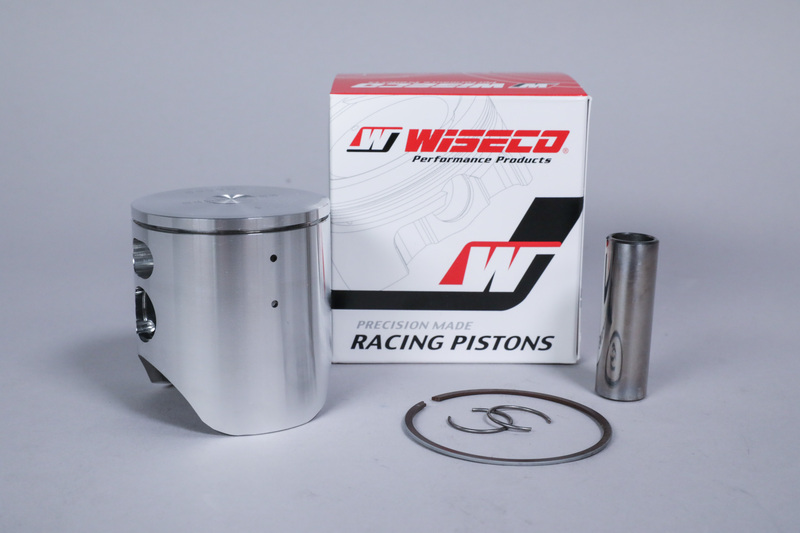 Two-stroke Garage Buddy kits include a Wiseco Pro-Lite forged piston, which is the two-stroke piston that has been providing two-stroke riders quality and reliability for decades. Some applications, two and four-stroke, even feature ArmorGlide skirt coating, reducing friction and wear for the life of the piston. 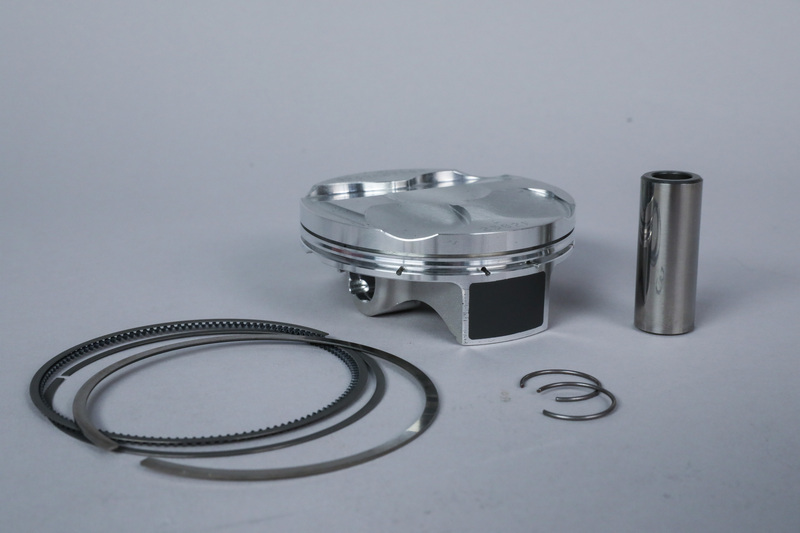 Forged aluminum has an undeniable advantage in strength over cast pistons, thanks to the high tensile strength qualities of aluminum with aligned grain flow. Read more about our forging process here, and get all the details on our coatings here. All Wiseco pistons are forged in-house from aluminum. Some pistons may also come with ArmorGlide skirt coating, and some 2-stroke pistons may already have exhaust bridge lubrication holes pre-drilled. All pistons are machined on state-of-the-art CNC machine equipment, then hand finished and inspected for quality. The forged pistons come complete with wrist pin, clips, and high-performance ring(s). 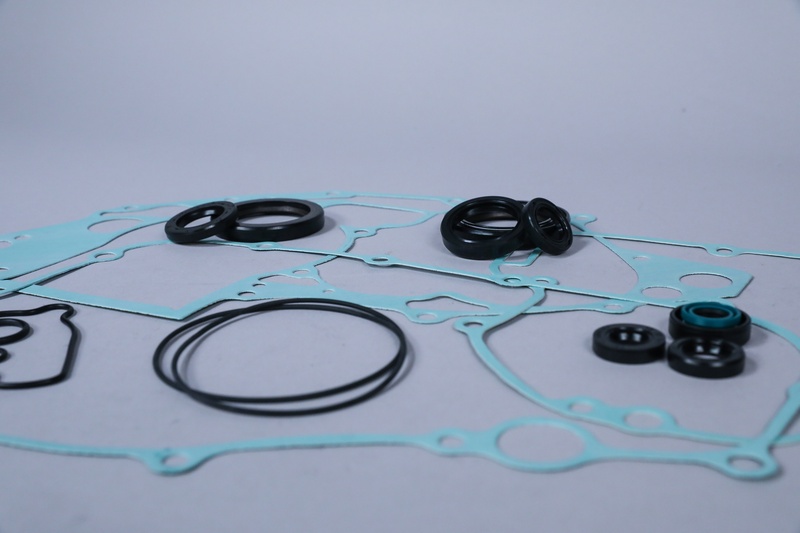 Lastly, all gaskets and seals are made by OEM quality manufactures. Sealing components are not something to ever go cheap on, because no matter how high-quality your moving components are, if your engine is not sealing properly, it’s coming back apart. Need some tips on breaking in your fresh engine? Check this out. 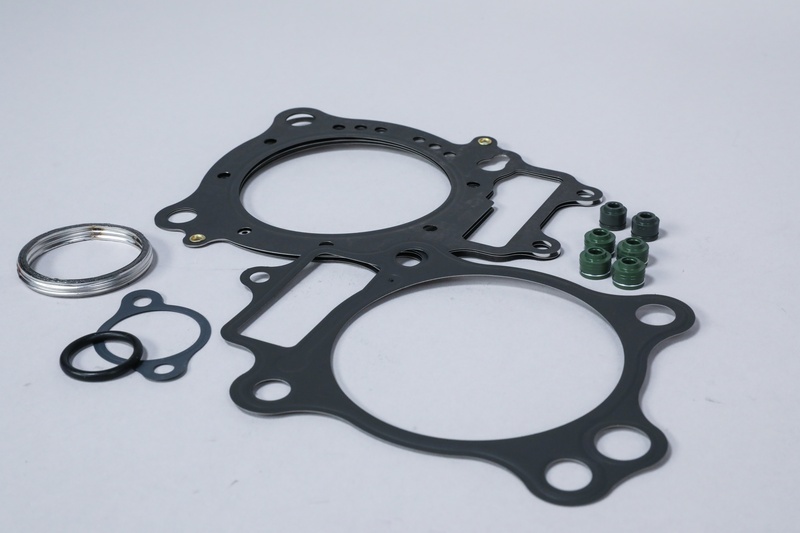 Gaskets and seals provided in Wiseco Garage Buddy kits are OEM quality, ensuring your freshly rebuilt engine is properly sealed. Below is a list of current Garage Buddy applications with US retail price and part numbers. More applications will be available soon!